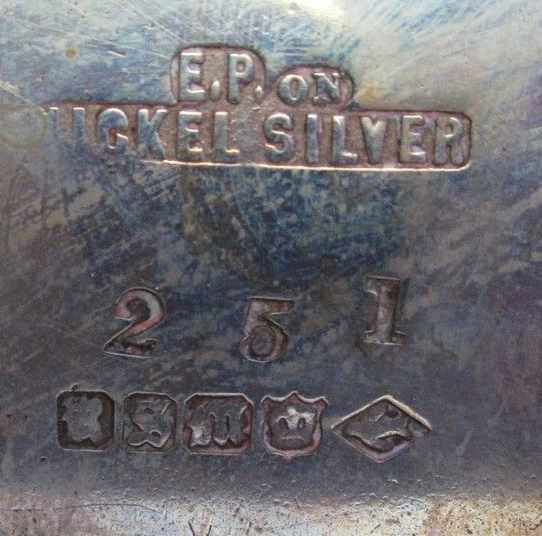 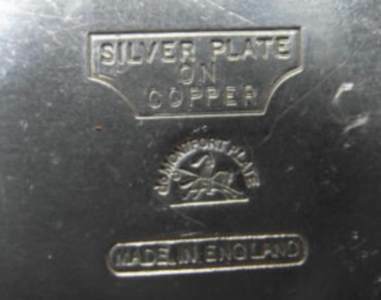 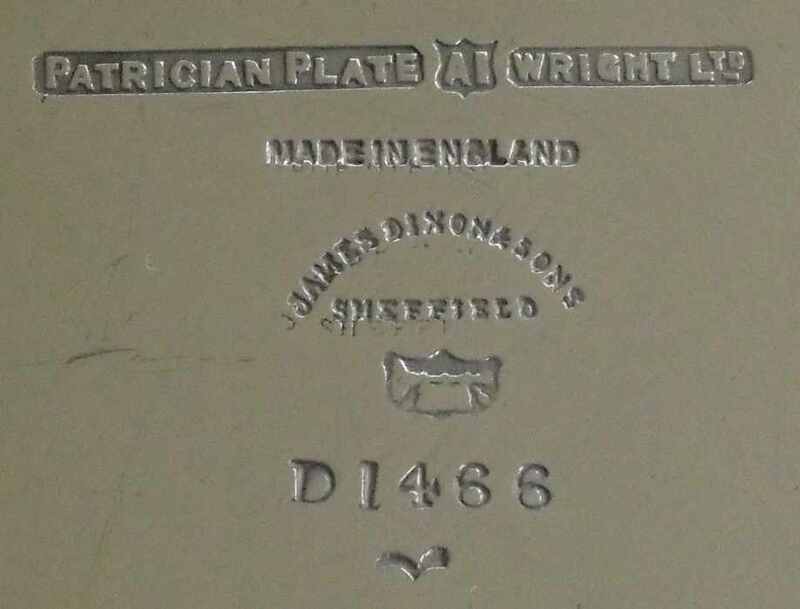 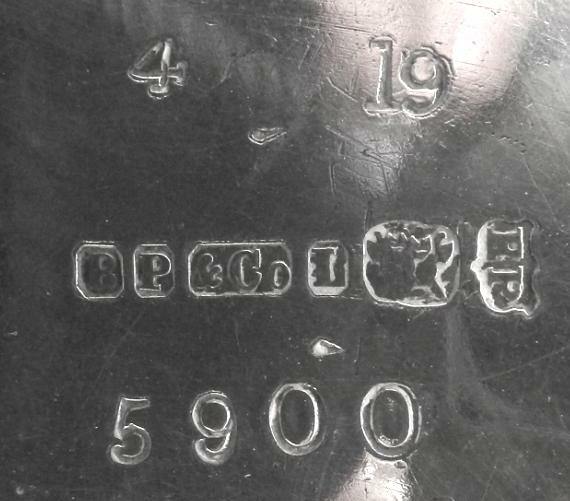 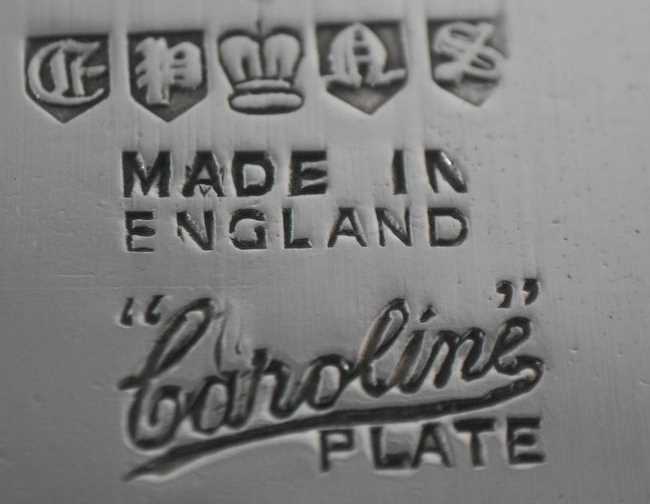 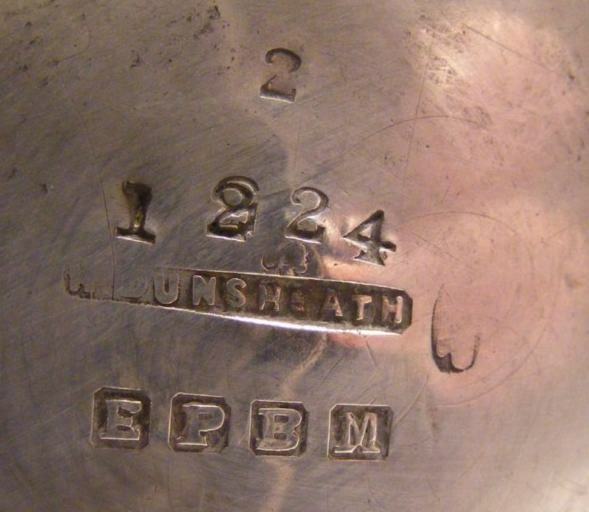 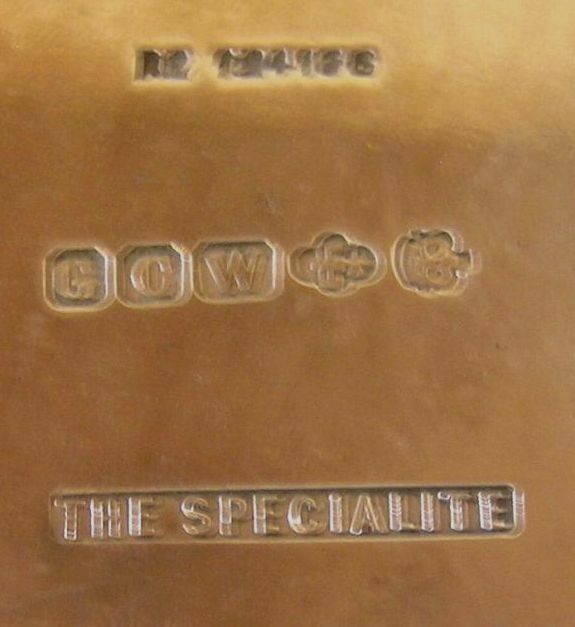 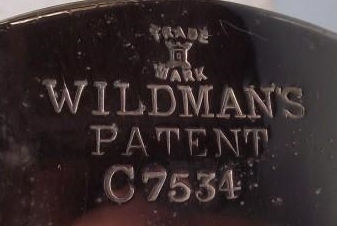 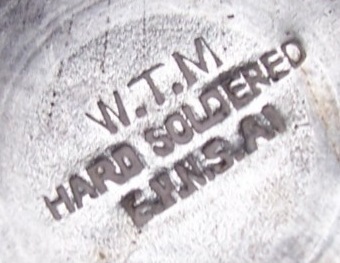 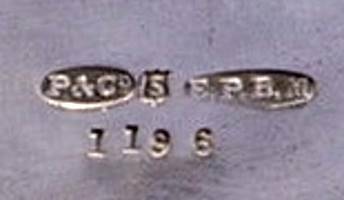 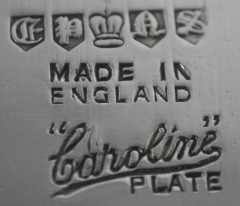 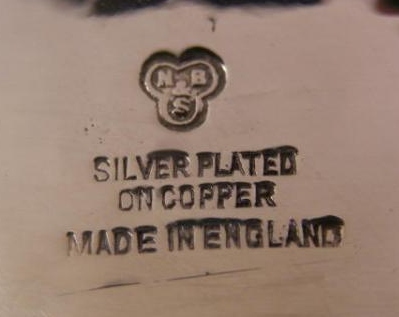 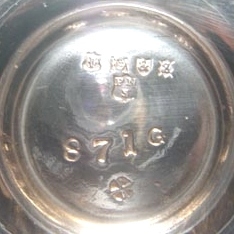 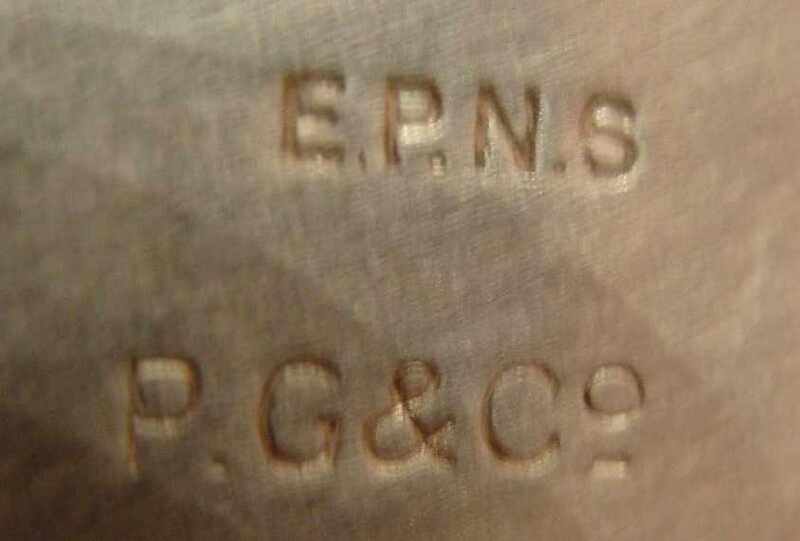 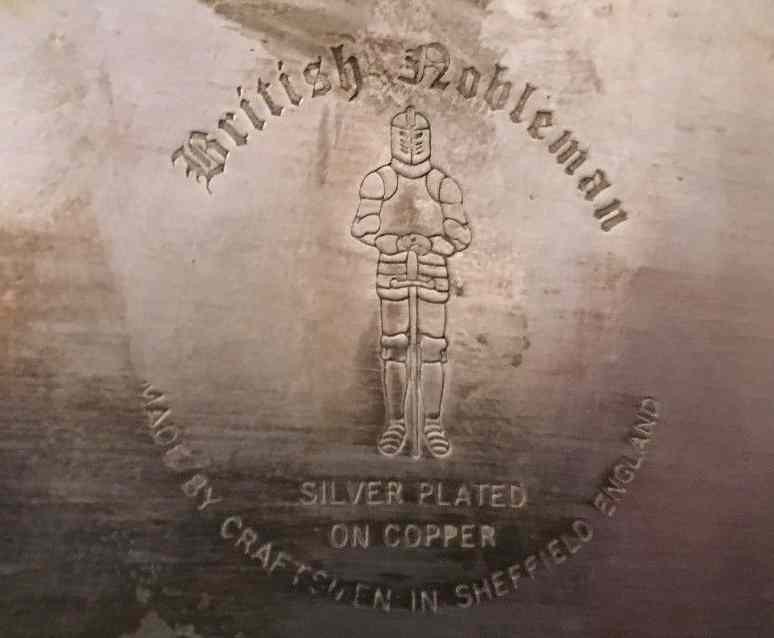 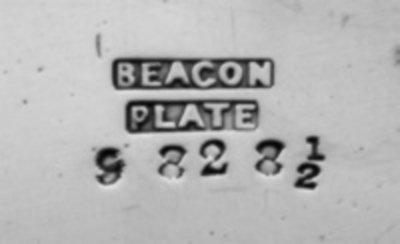 There was no legal requirement to mark electroplated goods and any letter, symbol or number punched in silverplate wares is part of the individual trademark used by manufacturers to customize their own production. 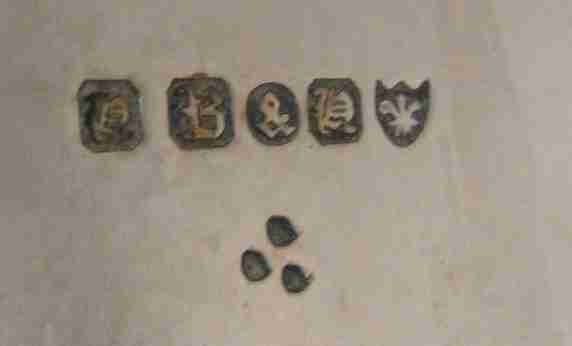 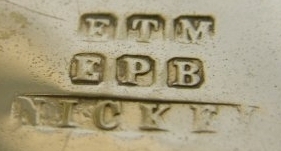 The punches consisted usually of letters corresponding to the initials of the electroplater coupled to other letters (e.g. 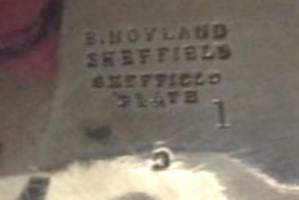 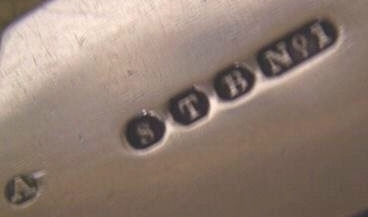 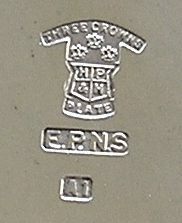 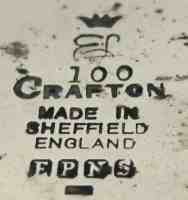 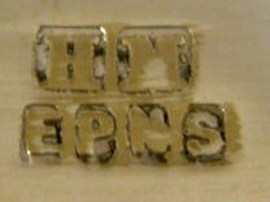 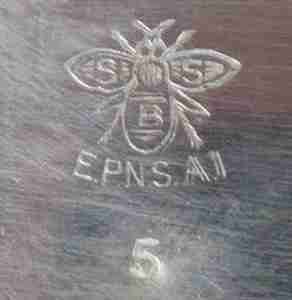 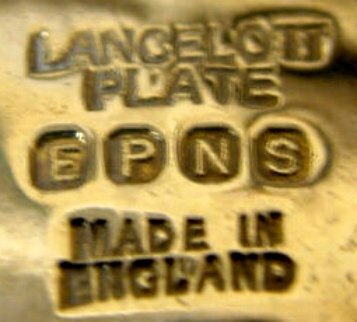 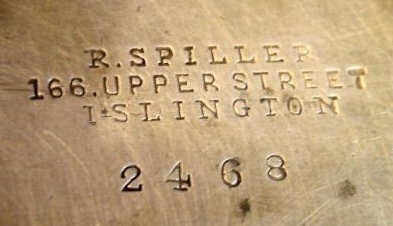 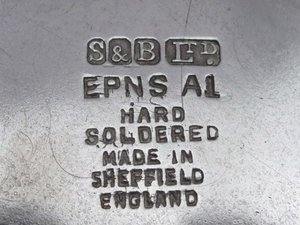 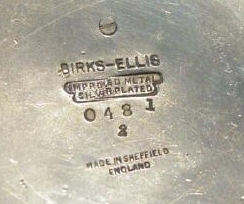 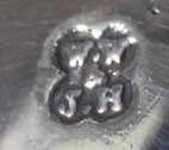 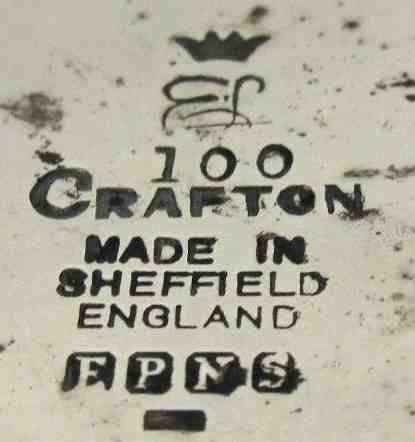 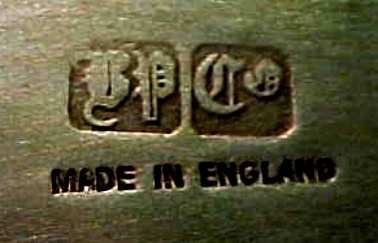 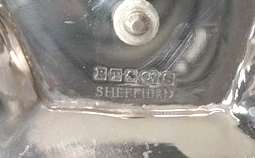 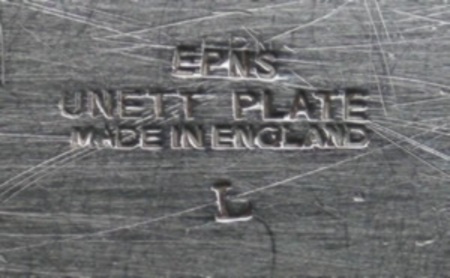 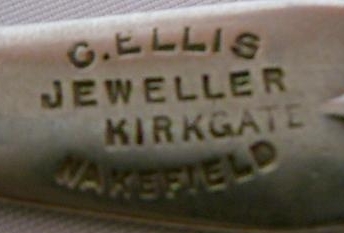 "EP" for Electro Plated or "S" for Sheffield) and symbols composing a sequence similar to that used by Assay Offices for sterling silver hallmarking. 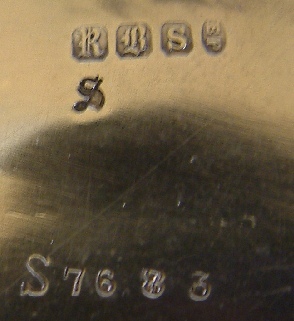 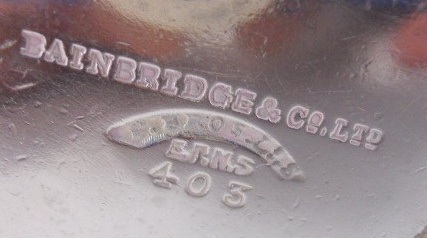 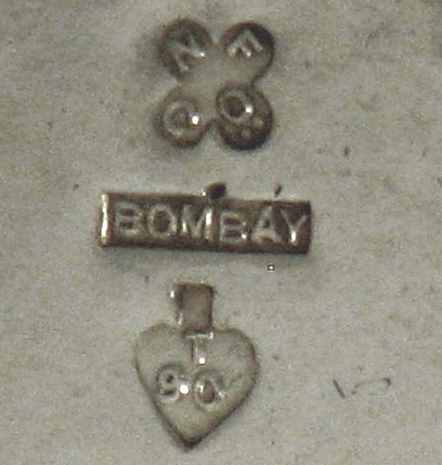 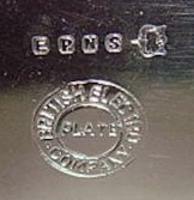 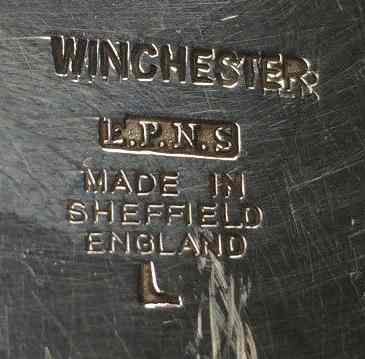 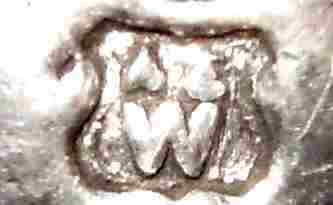 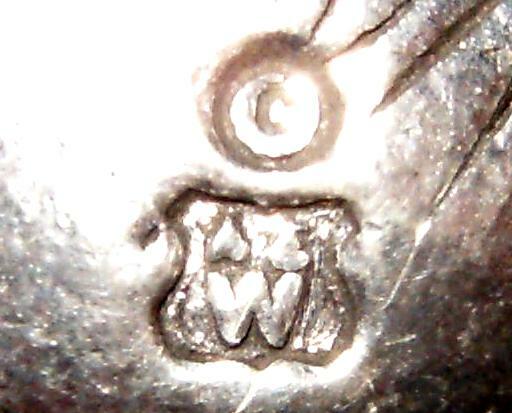 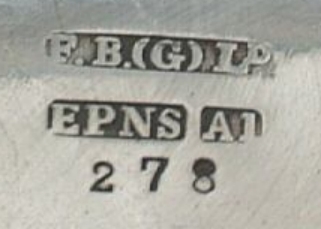 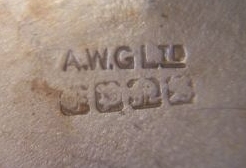 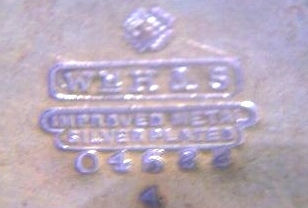 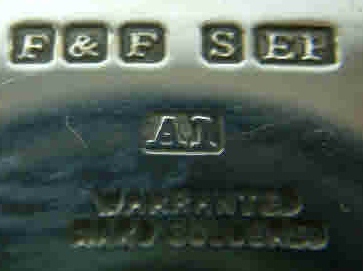 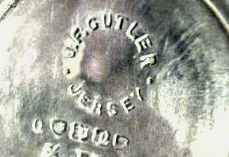 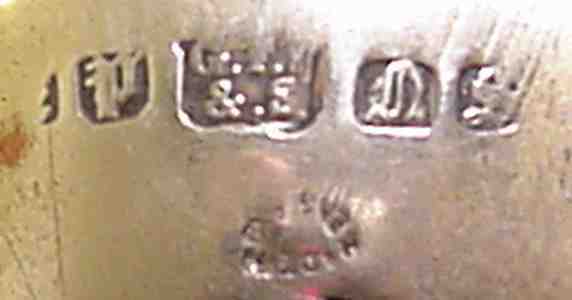 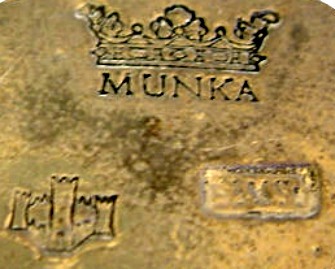 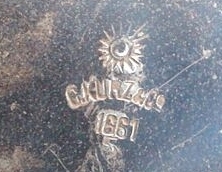 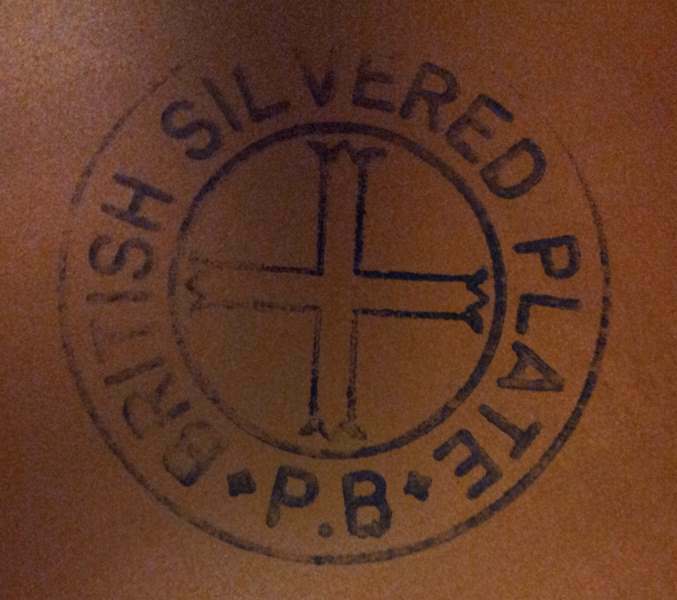 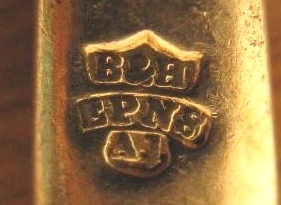 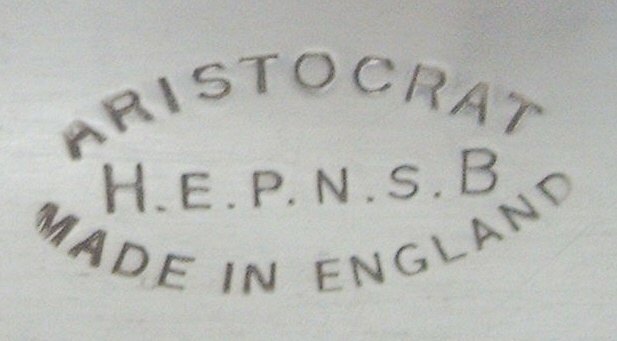 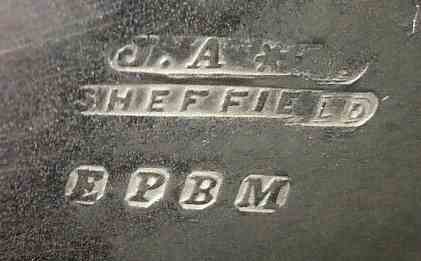 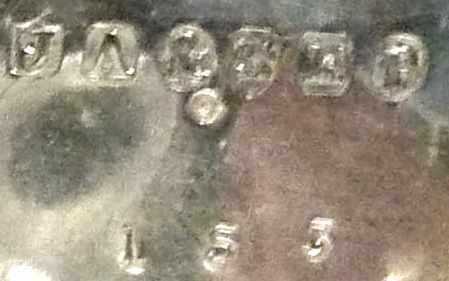 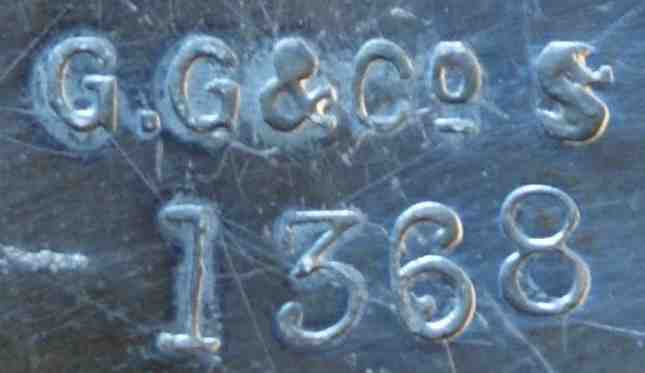 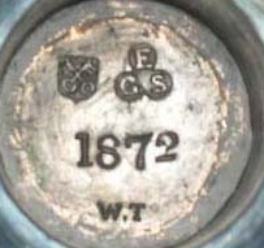 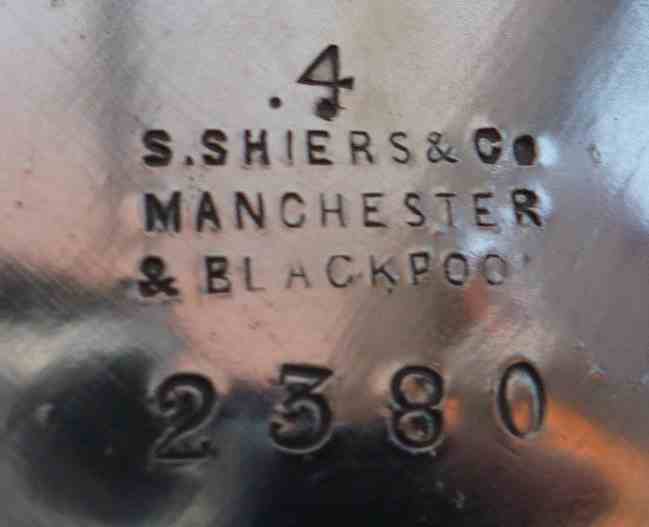 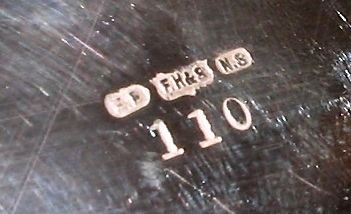 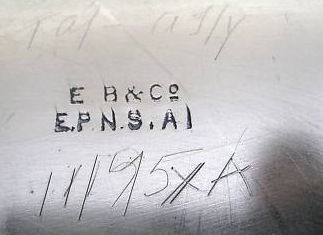 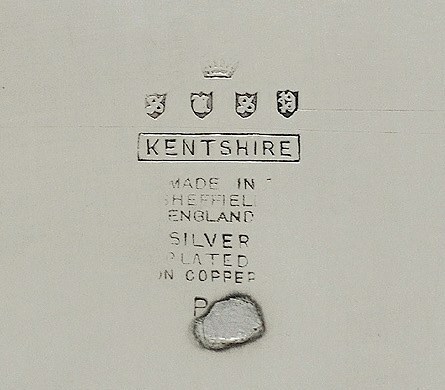 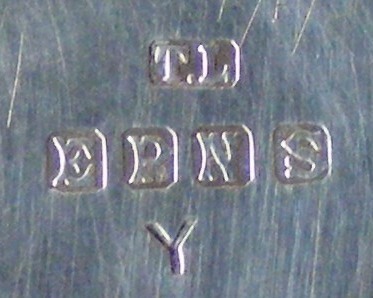 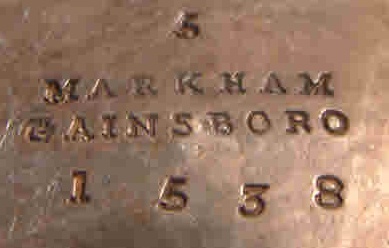 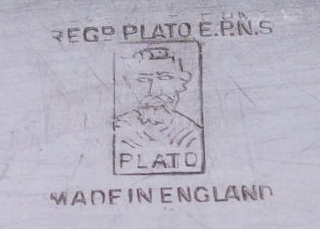 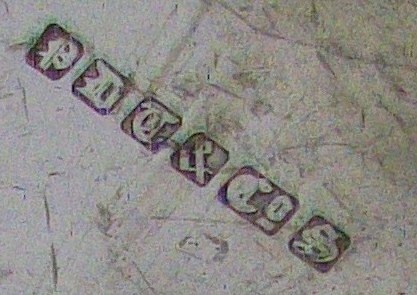 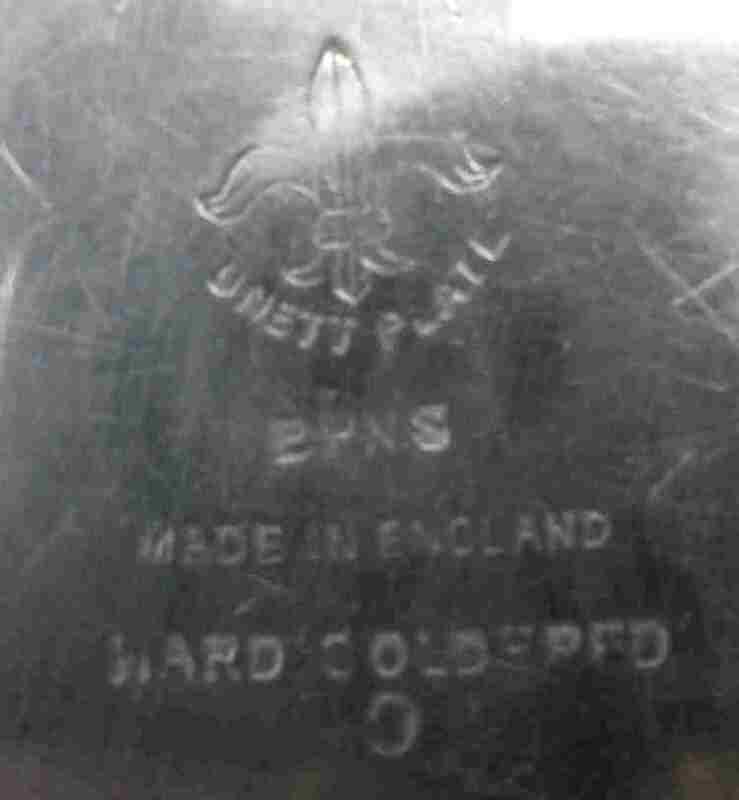 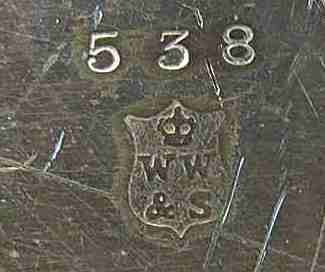 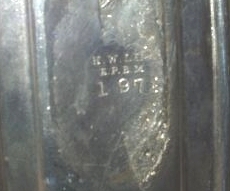 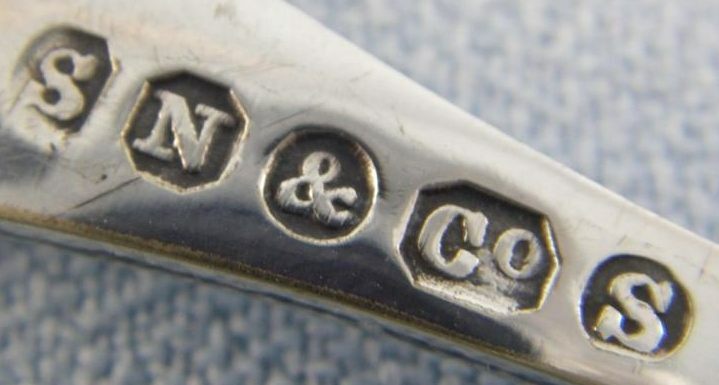 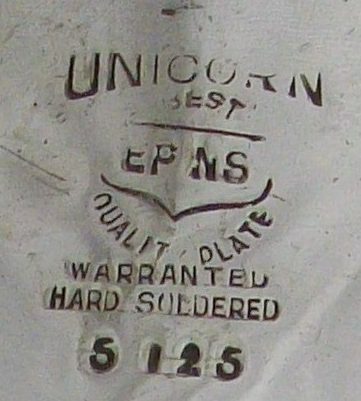 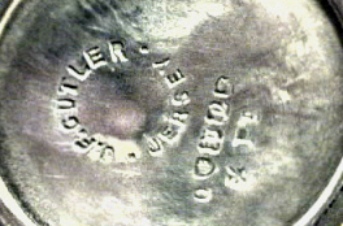 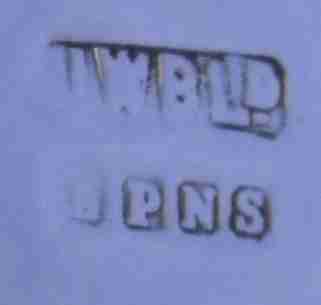 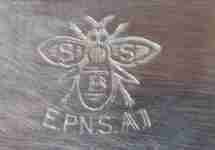 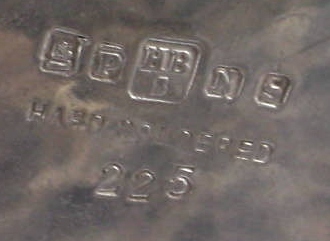 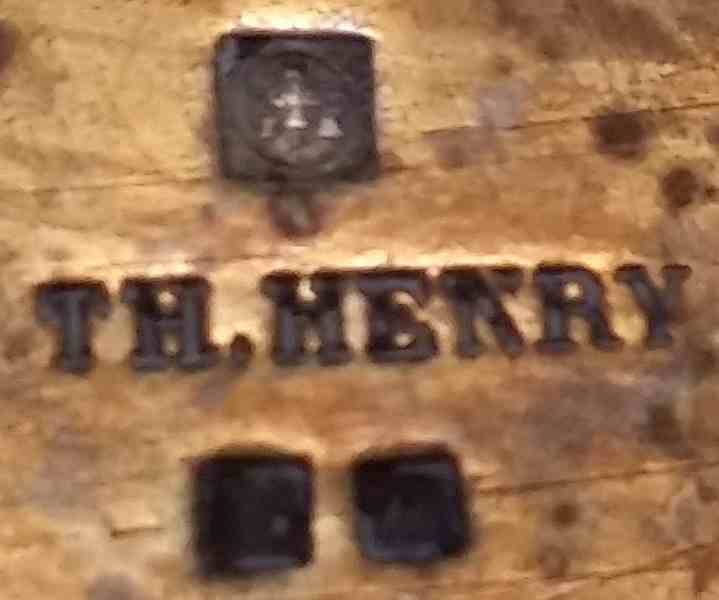 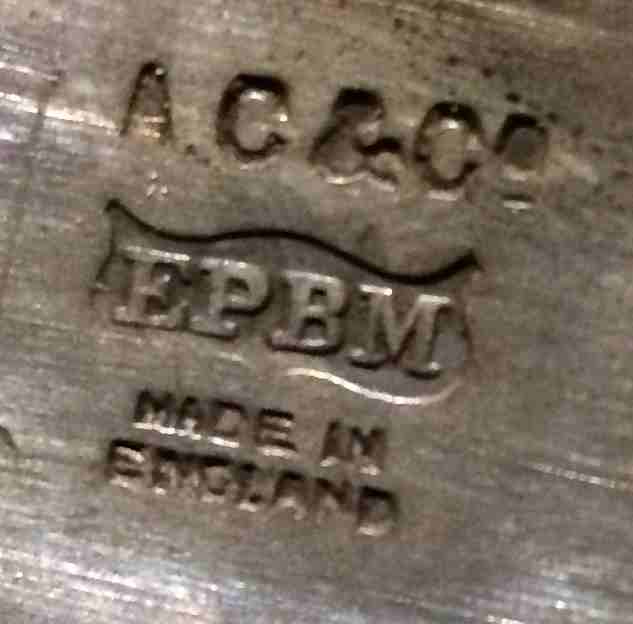 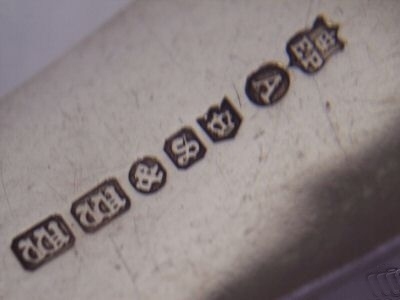 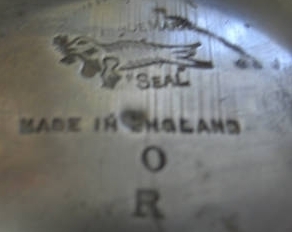 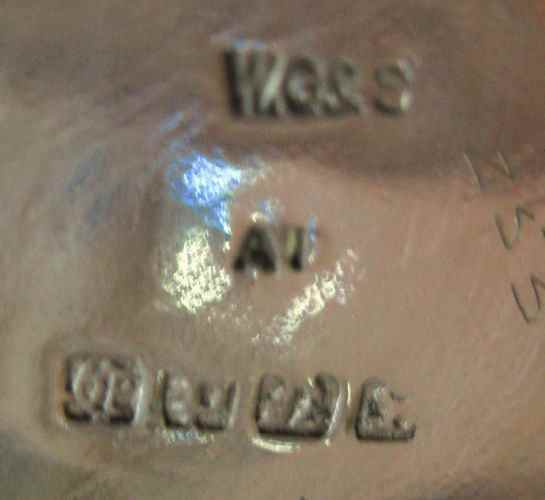 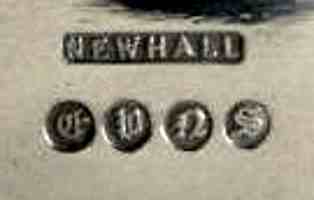 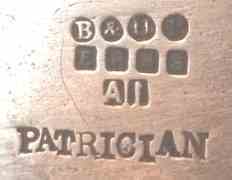 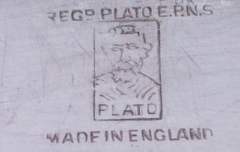 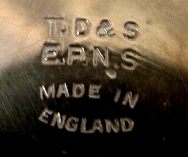 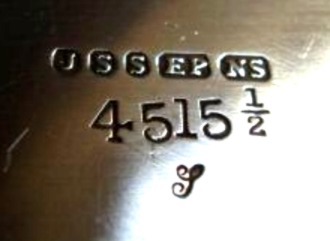 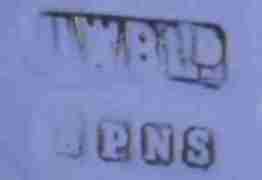 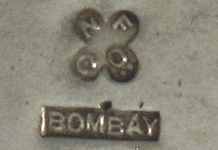 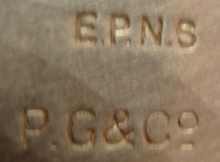 The attribution of trade marks based on maker's initials is problematic given that various makers had often the same initials and no registration was due for�this type of marks. 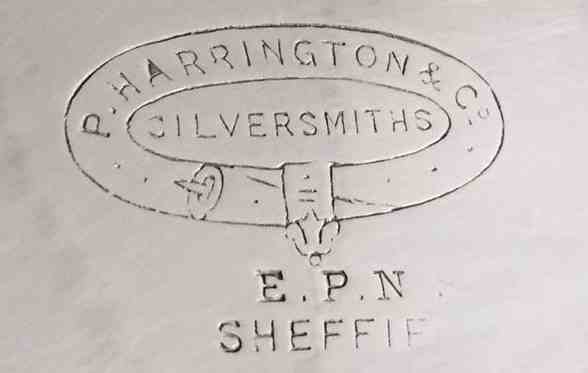 Usually the identification can rely on the exam of advertisements, catalogs, invoices and city directories but the whirling world of openings, closures, mergers, transformations that characterized the 19th century electroplating business in Sheffield and Birmingham has had the consequence that many trade marks of minor manufacturers continue to remain unidentified. 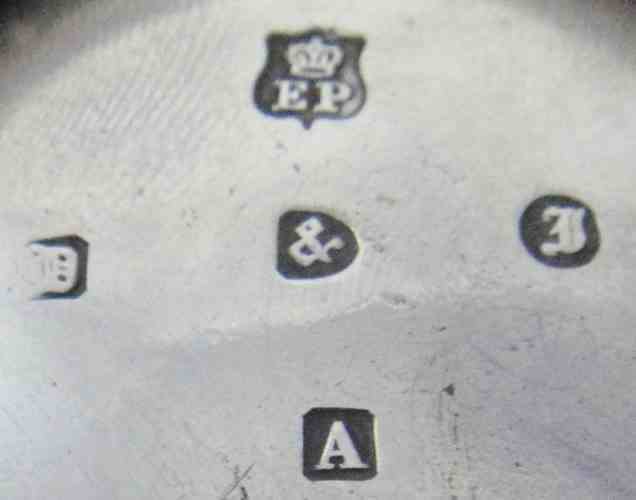 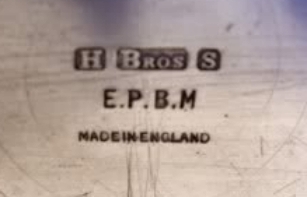 In this page I present a wide array of "unidentified" trade marks displayed in alphabetical order of the supposed maker's initials (other letters as EP, BM, A, B, S, etc. 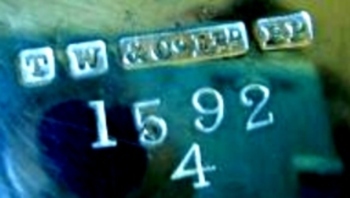 are ignored).